Cancer, is it just chance? Admit it. At some point in your life you have thought about what you would do if a doctor said the three life-altering words, “you have cancer”. Not too long ago, people would start checking off things listed on their bucket list, saying goodbye to friends and family, and determine how they want to spend their final days. Thankfully now, we can thank scientists for creating multiple treatments for this this potentially deathly disease. Instead of writing a blog about how cancerous treatments work, I wanted to go a step before that. Why do some people get diagnosed with cancer and others don’t? Being that almost 50% of my family has been diagnosed while I have some friends who can only think of distant relatives that have been, this has always been a question pondering in the back of my mind. Is it the luck of the draw (paradoxically)? Or are cancerous cells in peoples genes? Alternative Hypothesis: Cancerous cells are in peoples genes making it hereditary, meaning if someone in their family had or has cancer, the chances of them getting cancer increase. Null Hypothesis: Cancerous cells are not in peoples genetic. One is simply un-lucky if they get diagnosed with it. How normal cells work: Every day, each cell in our body has a different job to complete. The cells could either get damaged or die while completing this special job. If they get damaged, they can repair themselves, which is also known as DNA repair. During DNA repair, the cells use a series of enzymes to restore the DNA the cell was originally holding. If this fails, the cell will self-destruct and grow into a new, healthy cell so our bodies can operate properly. 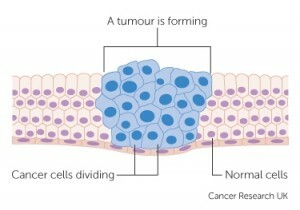 How cancer cells work: Unlike normal cells, cancer cells do not die. They make an abundance amount of cells until they start to crowd out the normal cells. The part of the body that is overpopulated with the cancerous cells begins to work inefficiently. The cells are usually found in lumps, also known as tumors. And the worst part of it all is when metastasis occurs. Metastasis is when these cells could potentially spread to other parts of the body. With having to consider multiple variables, scientists are still unsure if and how cancerous cells are created or if the normal cell is “triggered” into a cancerous one. So what increases our chances to get cancer more? Anything that falls under genetics such as family genes and age or our environments impacts such as smoking and being overweight. cancer runs in your genes. Even if tested positive, there is a slim chance that person may not develop cancer. Not considering breast cancer, 95% of cancer diagnosis are by chance. This is a persons’ #1 defense mechanism against diseases. Chronic diseases can hurt the cells, making them more vulnerable. I’m going to leave you with one question: Why do only some people get sunburnt? Think of the sun as the cancer. It surrounds us, just like the cells make up our being. Some people get burnt, just like some cells overpopulate. While others don’t get burnt, just like some cells don’t overpopulate. Our genetics are all different, everything happens by chance. In the end, the Null Hypothesis was correct. This entry was posted in Uncategorized on December 1, 2016 by Julia R Martini. I like the sun analogy at the end very much because I was going to bring it up myself anyway, as I was thinking about it the whole time while reading your post. 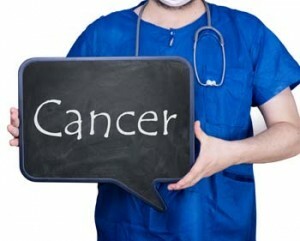 There are many different kinds of cancers that occur for various different reasons. Skin cancer, for one, is largely genetic. I’ve worn sunscreen my entire life because my mom had melanoma. However, some people wouldn’t think of buying sunscreen and some even ask for sunburn by going to a tanning salon. The body works in weird ways that we can’t understand, cancer being one of the many mysteries science has merely scratched the surface of so far. Think about it like getting struck by lightning, although the frequency is astronomically less than getting cancer. There are ways we think we can avoid it, such as not holding metal in the middle of a grass field, but people somehow still get struck sometimes. 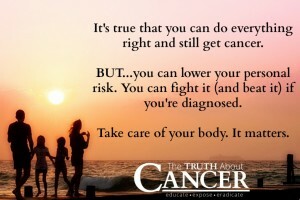 We think we can avoid cancer, as you listed a few ways to do so towards the end of your post, but somehow, people still get it.